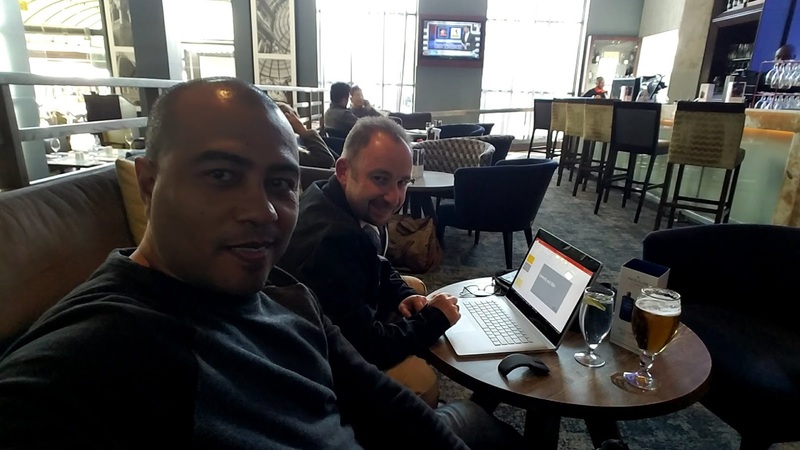 While in Johannesburg attending GPUG Amplify South Africa 2018, my friend of 1000 battles and fellow MVP David Musgrave and I sat down to prepare for our Day 1 sessions. In particular, we were preparing for our Microsoft Dynamics GP 2018 Customizing the User Interface session, which featured updated material and sample code from the ones we had shown at previous sessions. In a cursory review of his environment, we noticed that he did not have the Visual Studio Tools for Microsoft Dynamics GP templates installed. David noted that he was running Microsoft Visual Studio 2017 on his machine and that the GP 2018 templates did not support this version of Visual Studio. 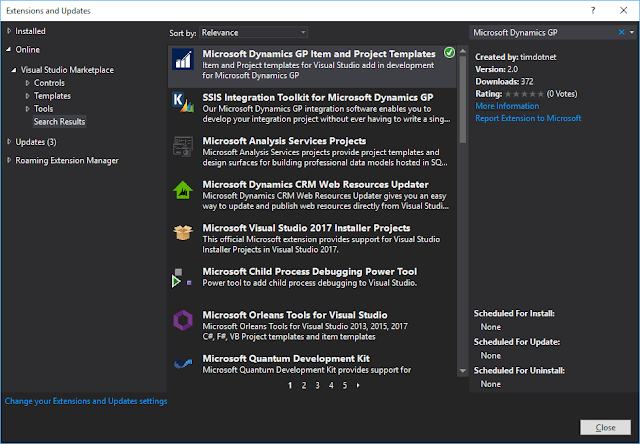 In fact, SDK templates are provided for Visual Studio 2010 through Visual Studio 2015 as of the release of Dynamics GP 2018. I quickly remembered that my good friend in the UK, Tim Wappat had created the extension manifest files for the VST project templates (based on the VS2015 templates) for Visual Studio 2017 and published them to online Visual Studio extensions library. The templates are available for both C# and VB.NET as originally intended by Microsoft. I want to thank Tim for saving our lives as we both needed the templates anyways for our presentation. 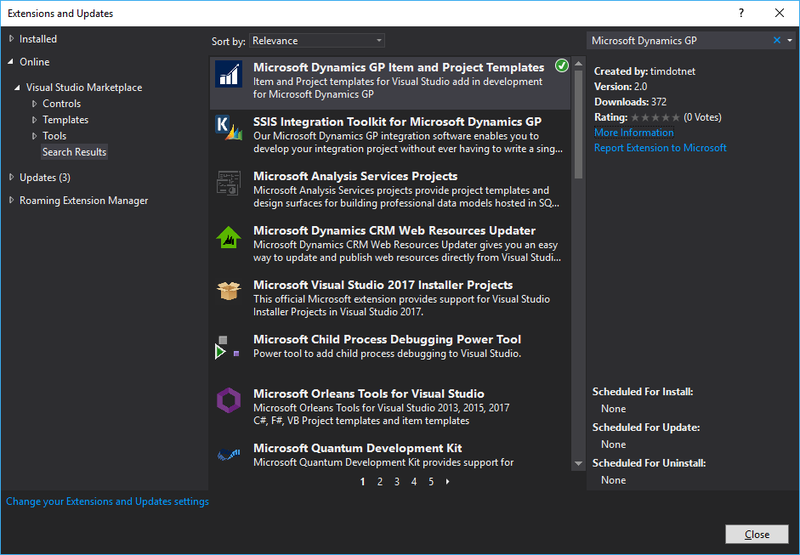 You can download the extension for Visual Studio 2017 here. and read more about the subject in Tim's article.